The Totally Wicked Titan vape juice line is available in 18mg (1.8% nicotine), 11mg (1.1% nicotine), and 6mg (0.6% nicotine). My new fav. 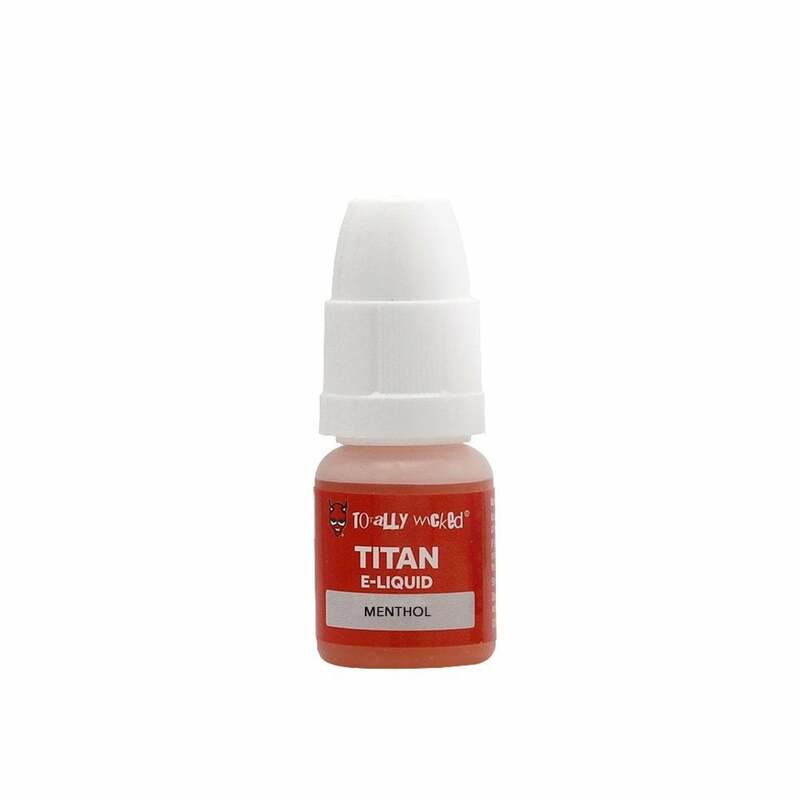 Was very fond of the 'Original' e-liquid from TotallyWicked, but their Titan brand is very good. Key thing is the consistency, flavor never varys - I like that. Thank you for carrying my favorite! So happy you carry this brand of menthol. My favorite!